I was alone tonight's dinner as well. 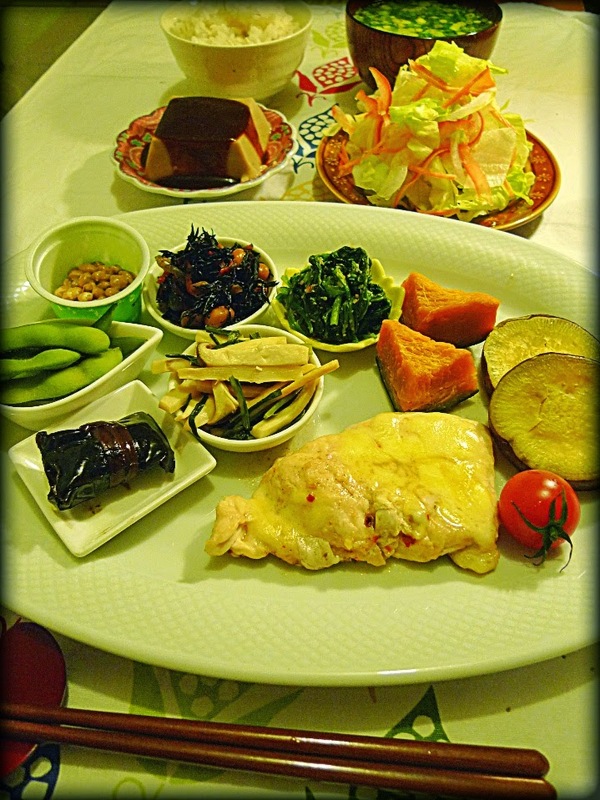 A main dish was grilled Chicken Breast Meat with melting cheese. Other menu items were some leftovers, mix salad, rice with barley and miso soup.